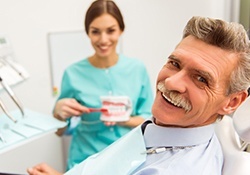 At our practice, we put a lot of our energy into prevention because we would much rather help you avoid dental issues in the first place rather than have to fix them later. With this approach, you’ll not only spend less time and money in the dentist’s chair, but your smile will look and feel better as well! It’s a win-win. To learn more about all the ways we can keep your family’s smiles healthy and beautiful year after year, simply read on below or contact us today. These two services are how we keep your smile free of tooth decay, cavities, gum disease, and more. 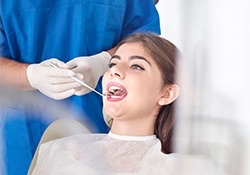 During a dental cleaning, one of our excellent hygienists will use sophisticated tools to break up and clear away plaque and tartar deposits from your teeth and gums, making sure to target the areas your toothbrush and floss simply can’t reach. Then, your dentist will perform a thorough oral exam where they’ll look for the subtle signs of everyday dental problems. By coming in for these preventive appointments twice a year, you’ll give our team the chance to catch any dental issues you might have early. From there, we’ll be able to fix them quickly before they can ever affect your smile. These preventive appointments take less than an hour and are one of the best things you can do for your long term dental health. If it’s been more than six months since your last visit, be sure to schedule your next one soon. Your smile will thank you for it! 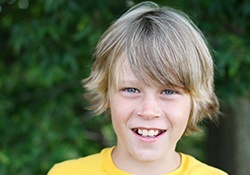 The rough chewing surfaces of the back teeth are one of the most common areas for cavities to develop, especially for children. To give these teeth a little extra protection, we can apply a clear, thin layer of a plastic-based substance called a dental sealant. This will create an invisible barrier on the teeth and shield them from plaque and food particles, effectively preventing both tooth decay and cavities. They only take minutes to apply and can easily last for years. Bruxism is a condition where a person unconsciously clenches their jaw and grinds their teeth, and it is estimated that nearly 10% of the U.S. population suffers from it! Over time, this common problem can severely wear down the teeth, making them more sensitive to hot and cold temperatures, more susceptible to developing decay, and even more likely to break! It can also cause damage to the sensitive jaw joints, known as the TMJ, which can lead to chronic pain. Fortunately, our team can help you control this sneaky habit with the help of a nightguard. 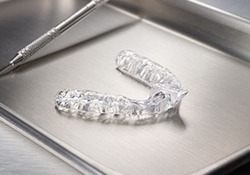 A nightguard is a small, custom-made mouthpiece that you’ll only wear to bed, and it’ll provide a protective cushion between your teeth as you rest easy. It will be made out of flexible, high-quality materials and customized to fit your individual smile. After using it for a few nights, you’ll barely notice that you’re wearing it, and you can rest easy knowing your teeth are safe. Oral cancer rates are currently on the rise here in the U.S., especially among healthy people who do not engage in traditionally risky behaviors like tobacco or excessive alcohol use. This is why the American Cancer Society recommends that everyone should undergo at least one oral cancer screening a year. To make things simple for you, we can perform one during your regular checkup, and if we find anything that causes concern, we can advise you on what to do next. Fluoride is a natural mineral that has been shown to help defend the teeth against decay and cavities. This is why you’ll often find it added to municipal water sources. To give your teeth an extra boost, we can apply a highly-concentrated fluoride gel that can last for months. It’s quick, it’s easy, and it’s one of the best ways to keep your teeth healthy between appointments! 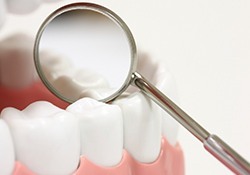 Periodontal therapy is used to treat periodontal disease, which is more commonly known as gum disease. This infection of the gums and bone surrounding the teeth is actually the leading cause of tooth loss in the United States! Thankfully, our team can help you make sure that this problem never affects your smile. 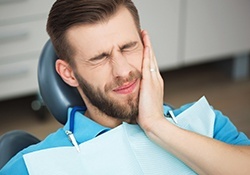 If you or a loved one experiences an unexpected dental injury or suddenly finds themselves in a lot of dental pain, you can always rely on our practice to provide swift and expert care. We’re equipped to handle a wide array of dental emergencies, and when you call in with one, we’ll answer questions and provide same-day urgent care if necessary. If your teeth ever become damaged in an accident, give us a call! Your child’s smile is probably the most precious thing in the world to you, and we want to make sure it stays strong and healthy as they grow and develop. 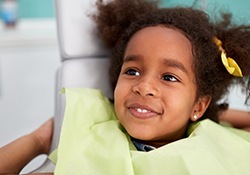 When you bring your child to our practice, we’ll have just the right combination of expertise and patience to make sure they always enjoy their dental appointments. With our help and yours at home, we can put them on the path towards a lifetime’s worth of bright smiles.